We can't help but curse while watching this viral video showing a crying baby being overfed with oatmeal cereal. Do you think it's child abuse? 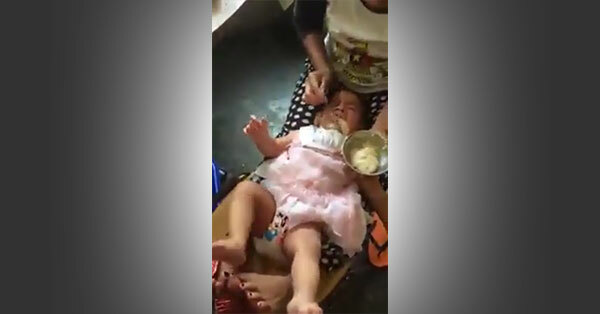 As you can see in the video, the baby appears full and having a hard time breathing yet the woman continued to fill the child's mouth with food. You can just imagine the trauma caused by such ruthlessness. Due to lack of details, it's unclear whether or not the woman feeding the baby and the man who was laughing while taking the video are the child's parents. Netizens, some of whom said they could not stomach seeing the helpless infant suffer, called on the Department of Social Welfare and Development (DSWD) to investigate the incident and have the child rescued.